Pharmaceutical development is growing as the industry gains momentum in response to a broad range of market, regulatory and social trends globally. Advancing science, emerging markets and healthcare models are driving recent innovation and therapeutic success in the pharmaceutical sector, which has become increasingly dependent on partnerships across the supply chain. Collaboration is key to successfully responding to market demand – collaboration between both (bio)pharmaceutical companies and their service providers. The pace and therapeutic achievements of the industry are reaching new heights not seen since the passing of the blockbuster or “Pharma 1.0” business model. Ernst & Young (EY) analysts explain that to help face mounting shareholder, competitive, regulatory and social headwinds, the industry has, over the past decade, followed a strategy of diversifying into a “Pharma 2.0” model around product lines that are less exposed to R&D and market risks.1 This approach has been relatively successful mid-term, but the industry calls for long-term sustainability, which requires a more dynamic and flexible approach. This approach must be one that will more efficiently and cost-effectively address the mounting needs of patients all over the world. More integrated collaboration across the entire supply chain, including risk sharing, has factored into the success of contract development and manufacturing organizations (CDMOs) as an effective partnership strategy. These collaborative models have provided a fresh opportunity for buyers to explore a variety of next-generation business model options — all with the goal of finding and achieving new drugs, as well as reformulations and improved dosage forms for existing drugs for new and sustainable revenue streams. Outsourcing rates vary from 10% to 20% for generic firms. These firms are subcontracting more complex (i.e., poorly soluble, sterile injectable) products that they are unable to produce within their existing infrastructure.2 Biotech companies are also moving to more virtual models that rely heavily on outsourcing through clinical proof-of-concept and licensing or acquisition to larger companies for late stage clinical development and commercialization. As such, this sector’s outsourcing rate is high, at about 75%. Midsize and specialty pharmaceutical companies, focused on sales and marketing and/or late-stage clinical development, are outsourcing significant parts of the value chain (often due to lack of capacity). At rates between 40% and 50%, small to midsize firms are more inclined to turn manufacturing and R&D over to partners. Although large pharmaceutical companies’ outsourcing rates range from 10% to 20%, this is steadily growing; many are closing obsolescent, poor-performing manufacturing facilities to reduce their fixed asset base and other CapEx and OpEx cost-managing strategies. For those not following this approach, the capacity available becomes a global asset in identifying supply chain partners and solutions. In many ways, the business models required to meet these challenges reflect the strategy Servier has been refining since its inception. Servier has leveraged an effective partner model to establish itself as France’s second-largest pharmaceutical company, committed to developing patient-centric medicines globally (92% of Servier’s medicines are prescribed outside France). Indeed, 25% of Servier’s princeps turnover is invested in R&D. Currently, the company is developing 23 drug candidates in oncology, cardiology, metabolic diseases, neuropsychiatry and rheumatology. For example, Servier has nine new molecular entities in clinical development for oncology respectively, in breast, lung and other solid tumors as well as leukemia and lymphoma. As only one example, Servier Canada Inc., announced the signing of a strategic partnership with Spectrum, which granted Servier exclusive rights to develop and commercialize a franchise of four Spectrum hematology-oncology drugs. The strategic partnership allows Servier to continue to focus on core priorities including SPI-2012, Poziotinib, Apaziquone and Evomela™. Servier’s strategic emphasis on collective collaboration is supported by Novartis’ recent exercise of an option to expand its research agreement with the company, to include anti-Mcl-1 drug candidates. Mcl-1, one of the most frequently amplified genes in cancer cells, is involved in cancer cell survival, but no selective and potent inhibitor has been developed yet. In 2014, the companies entered into a strategic global collaboration to develop and commercialize specific Bcl-2 inhibitors from Servier research programs that are partnered with Vernalis. Under the terms of the expanding collaboration, Servier and Novartis can extend the partnership to co-develop and commercialize anti-Mcl-1 drug candidates. The ultimate goal is to bring these innovative therapies targeting apoptosis to patients suffering from cancer. It is increasingly evident that to achieve the challenging health care and therapeutic value goals set by society, governments and patients, more players need to get involved in developing solutions. To that end, in 2014 Servier Group embarked on an initiative that would extend the company quality culture over 11 manufacturing sites, and integrate the global drug development and supply chain; Servier CMO services was launched in mid 2015, going live with its website in June, before introducing the organization to industry peers and partners at CPhI Worldwide in Madrid that October. Ranging from the complete strategic management of manufacturing operations to the supply of discrete research or processing tasks — including starting materials, clinical trial batches and on to finished products, Servier is positioned to support the latest patient-centered development strategies and production tactics necessary for next generation drug development. Servier’s quality track record has few peers, the result of a highly developed global quality systems management (QSM) infrastructure that proactively assures excursion-free processes — operational excellence based on six decades of quality assurance/quality control best practices and dedicated, experienced staff. Servier’s contract manufacturing services provide extensive process and analytical development experience which translates into effective chemical (active pharmaceutical ingredients) and pharmaceuticals (finished dosage forms) development — something supported by robust analytical method development. This is framed by a cGMP, Quality by Design (QbD) approach that includes synthesis, isolation technology and advanced drying/solid treatments. Ultimately, Servier and Servier CMO are positioned to support key business developers globally, meeting the needs of partners looking to manufacture globally. Servier has manufacturing sites in Brazil, China, Egypt, France, Ireland, Morocco, Poland, Russia and Spain, for partners looking for strategic access to new international regions and to benefit from our specific expertise, cost strategies and differentiators for your products and supply chains. “White Paper: FDA and Accelerating the Development of the New Pharmaceutical Therapies.” U.S. Food and Drug Administration. N.p., n.d. 01 July 2016. Web. McGurrin, Daniel, Rebecca Holland New, and Jennifer Almond. “Bringing the Customers Back Into the Plant: The Strategic Transformation of Patheon (A)” N.p., n.d. 14, Aug. 2014. Web. After working for seven years at the CHU in Lyon as a pharmaceutical biologist and for residency, Christian became a member of “Les Laboratoires Servier” in 1987, where he worked as a bioanalysis director in R&D for 8 straight years. 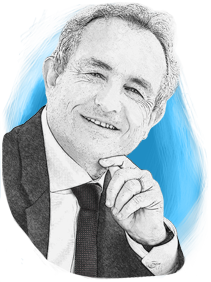 In 1995, he joined the industrial team and is currently an active member of the executive committee of Servier. He is in charge of the supply chain and the entirety of the industrial network, featuring 11 chemical and pharmaceutical manufacturing sites both in France and on the international scene.